A small equipment manufacturer produces heat exchanger packages for applications all over the world. Their specialty is helicopter pads. They ship (5-10) units per year and their standard delivery is (9-12) weeks. Their equipment was being designed and produced by a large equipment packager. They wanted more control over the design and production process and their goal was to replace the equipment packager with several smaller specialty companies to reduce cost and increase their control. Their costs from their equipment packager were higher than expected every year and their package design was not advancing. They realized they had lost their small company attitude and competitive edge. They needed more control over design and production to reduce cost to be more competitive. Their applications engineering and startup support was good, but they had no engineering support to advance the design of their mechanical equipment or control panels. They needed to develop an engineering support capability to continue to advance the design of their mechanical equipment and control panels. 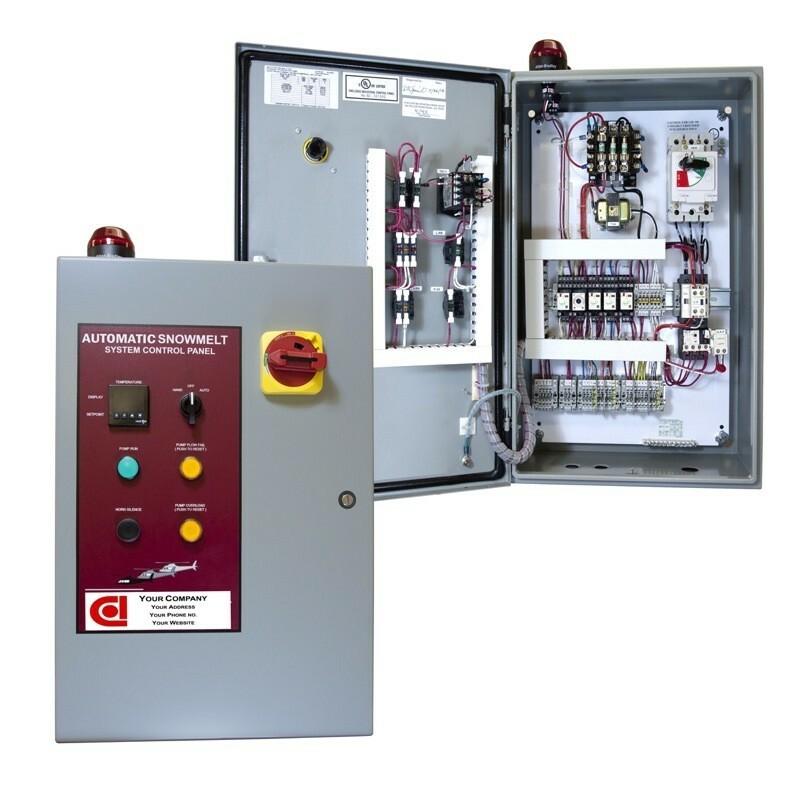 We redesigned their control panel to reduce cost, improve appearance and simplify installation. All standard power and control configurations use the same enclosure that mounts on their redesigned equipment skid. We also provide the required enclosure penetrations and cables to simplify installation and connection to skid mounted devices. Our standard panel pricing allows their Sales guys to focus on sizing and pricing their equipment. They don’t need to focus on the control panel and how it’ll integrate with their equipment skid because it’s already known. When they get an equipment order they send us an order and we produce on budget, 100% Function Test, and deliver on schedule to their new skid production company. Our standard panel size allows their skid production company to know how to mount it. When the panel arrives they can quickly bolt it to the skid, and quickly connect all skid mounted devices with the included cables. Their control panels look better and cost less and they have more control over their equipment design and cost. Contact Us now and tell us your story. What do we contribute ? An unusual company with experienced people, advanced software and automated production equipment. Automation Controls • OEM Panels. All Rights Reserved.